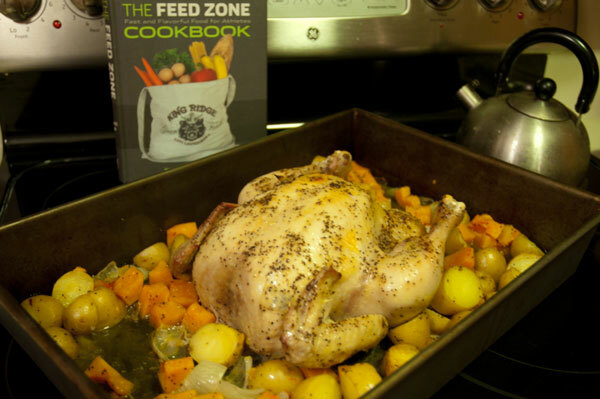 For those readers who, like us, are celebrating Thanksgiving, we offer this repost of The Feed Zone Cookbook’s Whole Roasted Chicken recipe. This recipe offers a meal much like Thanksgiving, but with about a tenth of the work and expense. And it’s much easier for procrastinators to find a whole roasting chicken than a turkey! So for those of you focused on setting a late-season p.r. during a Turkey Trot, we hope you’ll have enough free time to whip up this Thanksgiving-like dinner in celebration. I cannot stand eating hot carrots, so we substituted squash. You could also try sweet potatoes. We also tossed in some small potatoes for good measure. My wife was feeling enterprising, so she chopped a lemon in half and stuck it, well, you know where. The result? A nicely browned, very tender, juicy chicken with perfectly roasted potatoes. I filled up on lean protein, good fats from the olive oil, and plenty of complex carbs from the potatoes. 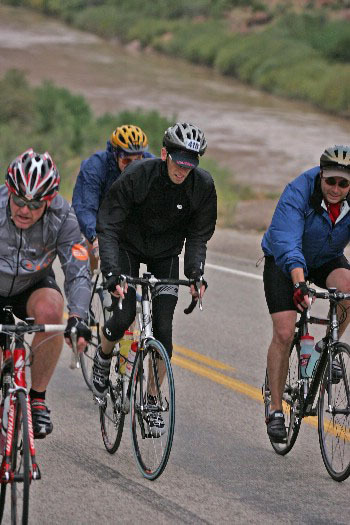 Add a nice amber, red, or brown ale and you are eating like a king and fueling like a pro. This really was a lot like Thanksgiving! Except a whole roasting chicken costs about $6 and feeds a family of four. We even made chicken soup with the leftovers. Happy Thanksgiving! We’ll be back with more recipes on Monday. Try this recipe yourself! 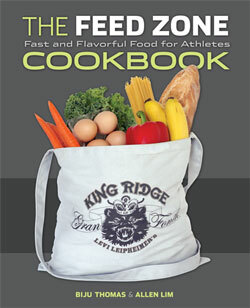 Download The Feed Zone Cookbook’s Whole Roasted Chicken recipe. 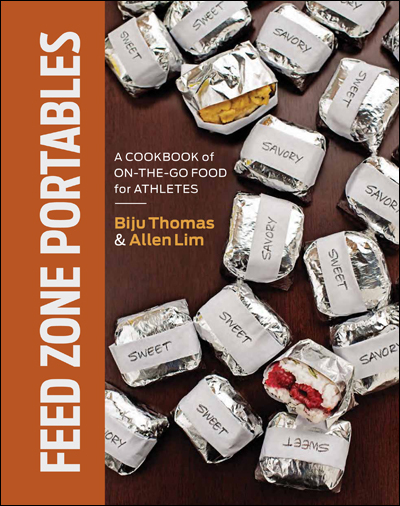 ← VeloNews Story on The Feed Zone Cookbook!